Home / Blog / April Open House! Mark your calendars for one of the biggest days of the year: our Spring Open House! Join us on Tuesday April 30th from 10-7 for all day Botox Treatments done by Dr. Kjar and our Nurse Injector (call to pre-book your appointment). 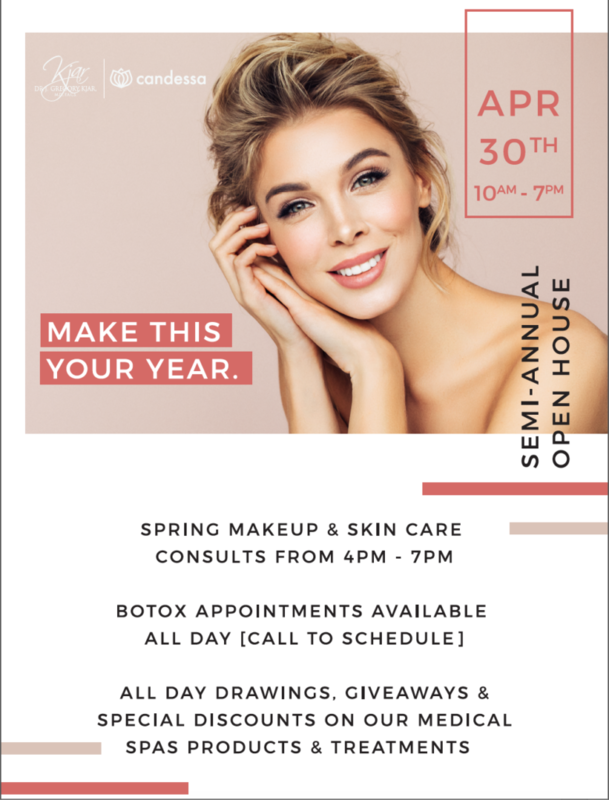 We will also have demonstrations and education on Jane Iredale Spring Makeup, giveaways, specials on treatments and products, and more!